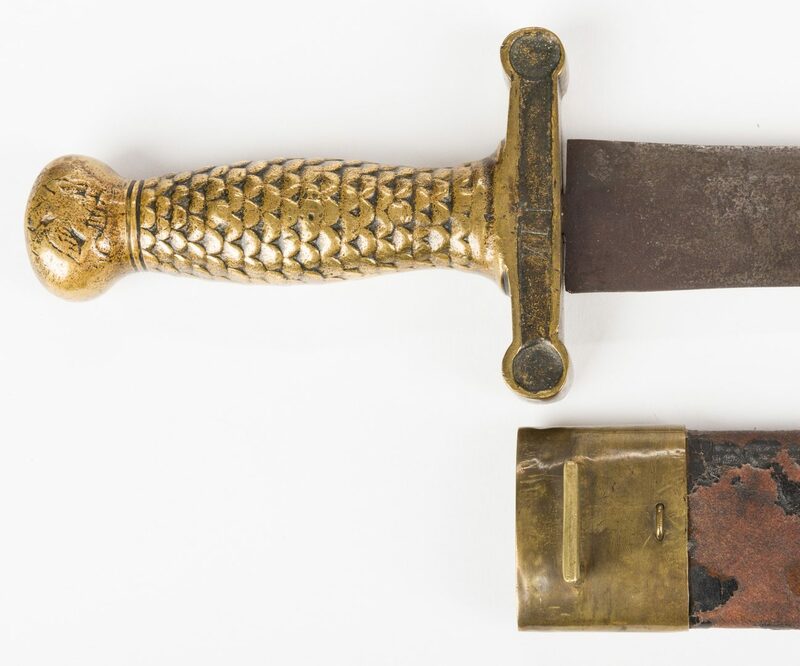 Artillery short sword and scabbard, possibly Confederate. 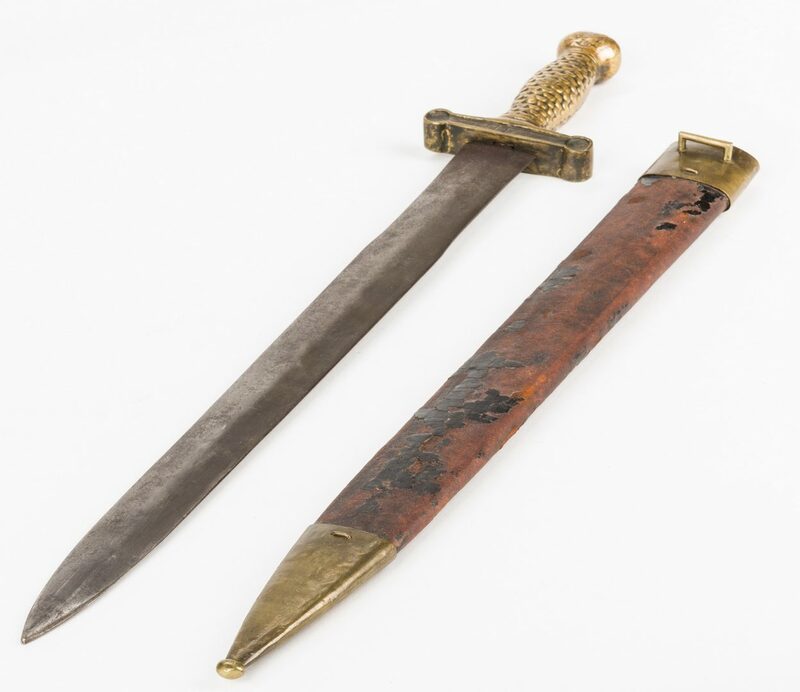 Grip with scalloped feather design, spread winged eagle stamped on both sides of pommel, XII stamped on one side of the cross guard, steel gladiator style blade. 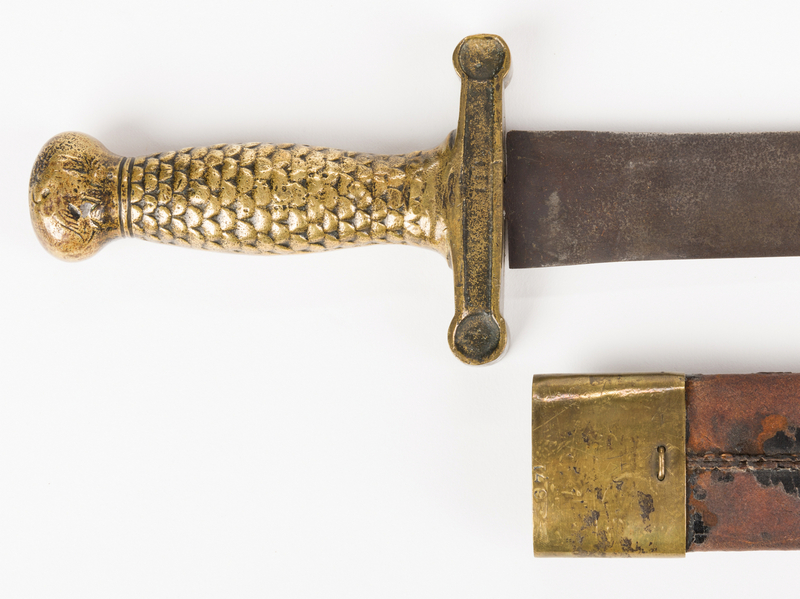 Brass throat and drag on leather scabbard with throat stamped "671". Blade length – 18-5/8", tip to hilt. Overall length – 25-1/4" L. Circa 1860. Provenance: Purchased from Hendershott Museum Consultants, Inc., Little Rock, AR, February, 2000. Private Florida collection. 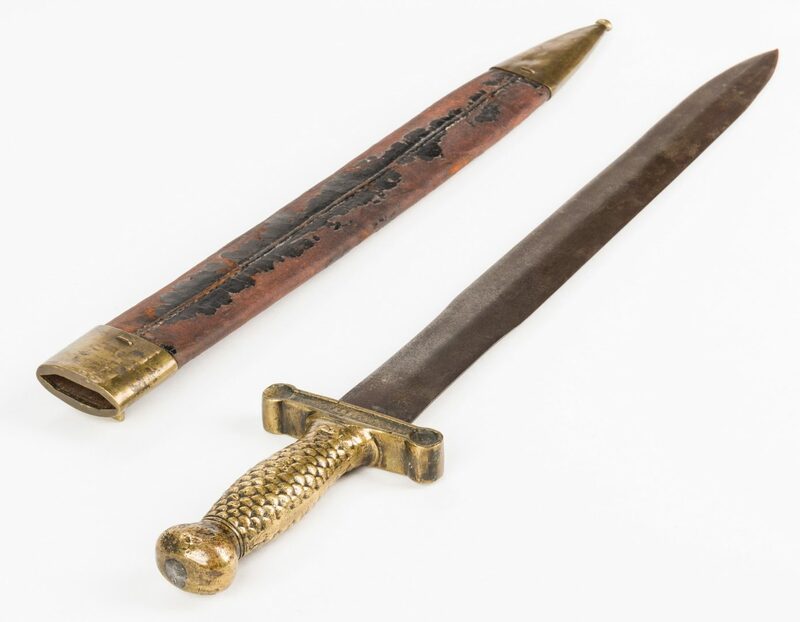 CONDITION: Leather scabbard in good condition with some surface wear. Some oxidation to blade.